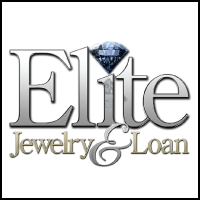 Elite Jewelry and Loan has the largest selection of new, custom and previously loved jewelry for sale at wholesale prices to the public. Get 35% off the marked price of all jewelry. Never pay retail prices again. We will also buy or trade on any valuables you own such as jewelry, watches, diamonds, coins, etc.